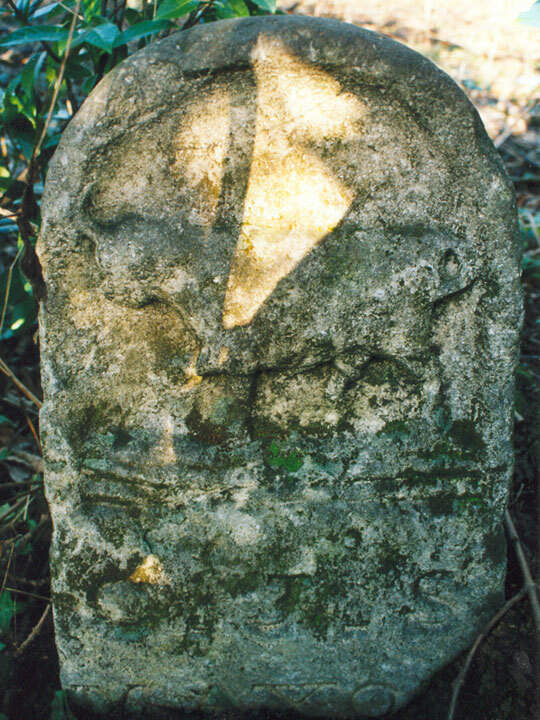 “Pursuing the well-known path from the Marston-road to Joe Pullen's Tree, we find built in the wall on the right hand of the path at the back of the stables of Headington Hill Hall boundary stone No. 2”, which he states in a footnote was inscribed “C.J.S., Mayor, 1837”. If so, it was subsequently moved to the other side of the footpath, to the left of anyone coming up the hill, as he was.